You may have heard of the phrase “primum non nocere” — the Latin phrase that doctors are supposed to follow that instructs them to “first, do no harm.” Doctors also have an important ethical obligation to alleviate pain. But what happens when these two mandates collide? That, unfortunately, is the case with opioid pain relievers: powerful medicines like oxycodone, hydrocodone, and hydromorphone. These medications are potent pain relievers, but this relief comes at a serious, and sometimes deadly, cost. The United States is now in the era of an “opioid epidemic” in which deaths from opioid overdose have reached alarming numbers. In 2015, it was the most common cause of accidental deaths among adults. Nearly 30,000 Americans died from opioid-related overdoses — more than from motor vehicle accidents or gun violence. We now know that this epidemic was likely caused by the large increases in the number of opioids prescribed by clinicians to their patients, which increased at least four-fold between 2000 and 2010. Now, recent literature is further refining how we think about the opioid problem, which is not just about how many opioids are prescribed. 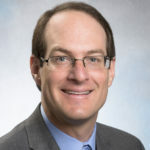 A study by Dr. Michael Barnett and colleagues from Brigham and Women’s Hospital in Boston published in the New England Journal of Medicine in February 2017 had a surprising finding: becoming dependent on opioids is not just about patients, it’s also about the physicians that prescribe opioids. If a physician was more likely to prescribe opioids than his or her peers, then a patient under their care was more likely to be on opioids long-term. This research focused on over 200,000 elderly patients covered by Medicare. The researchers wanted to determine the extent to which individual doctors vary in their prescribing of opioids, and if that had implications for long-term use of opioids by patients. The study looked at patients who had not been prescribed opioids in the prior six months who then were prescribed an opioid after a visit to an emergency department (ED). The ED was chosen because patients don’t choose their doctor when they go there. The emergency department doctors were divided into “high intensity” and “low intensity” prescribers, based on how frequently they prescribed opioids compared with their peers in each hospital. Then, study investigators looked at patients who were still on opioids in the 12 months after the ED visit. Low-intensity prescribers prescribed opioids to about one out of every 13 patients, while high-intensity prescribers prescribed opioids for about one of every four patients. Patients treated by doctors who were more likely to prescribe opioids (or to consistently prescribe higher doses of opioids) were more likely to still be on them long-term. The study had some limitations. The authors couldn’t say for sure that all the opioids these patients ended up taking were actually prescribed by the emergency department doctor. They also didn’t take into account the types of patients some emergency physicians see. For example, some days I see lots of patients with painful fractures and other days I don’t. There is a component of randomness, in which physicians in the ED don’t choose their patients or the problems they have. Also, some physicians are more frequently assigned to “fast track” areas of the ED where injuries are treated more frequently, and those doctors more commonly prescribe opioids for reasons that would justify a patient being on long-term therapy. Finally, the data are from 2008-2011, now several years old. 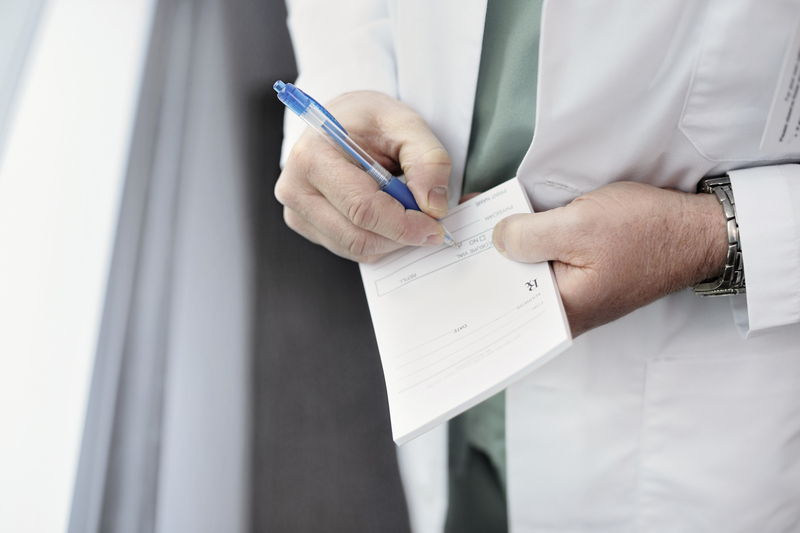 We know that opioid prescribing has started to taper off in the past few years. In my own department, for example, we found that our prescribing of opioids decreased by half between June, 2015 and December, 2016. Still, the study provides an important lesson for patients. Whether it’s a visit to the ED, dentist, orthopedic surgeon, or even primary care physician, some doctors are more likely to prescribe opioids. Patients need to know about the potential harms of these medications and that for some people, a small initial prescription will lead to long-term use. Patients should be encouraged to try every non-opioid method to cope with pain first before taking opioids. This includes trying medications like acetaminophen and ibuprofen (if appropriate), heat/ice packs, lidocaine patches, physical therapy, etc. If a person ends up taking an opioid, she or he should use the smallest dose needed to feel comfortable. And once the prescription is finished, it is important to dispose of the medication safely — most pharmacies and police stations will take back medications, no questions asked. Every day in the United States more than 1,000 people are treated in emergency departments for not using prescription opioids as directed. In 2015 more than 30,000 people died from overdoses involving prescription opioids. This course challenges preconceptions about who can become addicted to opioids, attempts to reduce the stigma that exists around addiction in general, and to help people learn about the multiple pathways to treatment. All these articles about the BAD of opioids make me sick. Only a few articles talk about the serious long term effects of NSAIDS, including death, (all of them) including long term effects of acetaminophen which is not a NSAID. I have unstable BP with the cause unknown. NSAIDS significantly raise my BP to danger levels. In some cases over 40 mmhg in less than two hours. I am plagued with leg neuropathy, chronic fibromyalgia, and flare up of arthritis, Oxycodone works wonders. I take on a as needed basis. For the record, whereas NSAIDS raise my BP, Opioids lower it making the Opioids the RX of choice. Depending on the type of discomfort, I can use hydrocodone, oxycodone with “NO” side effects. Thank you for your thoughts. I tried to be as balanced as possible in the article, including acknowledging in the first paragraph the dual mandates clinicians have to both treat pain but also not contribute to the tragic number of opioid-related overdose deaths we are seeing (now as many as 4 lives lost every hour in this country). The rapid rise over the past decade in the number of deaths far exceeds that of NSAID-related mortality, which is most likely the reason for so much attention. The article is addressed primarily at patients with acute pain – your situation is different and I agree that there is benefit to careful long-term use by some patients, as you kindly shared. Finally, I counsel my patients on the harms of NSAIDs as well and hope other prescribers do, too.